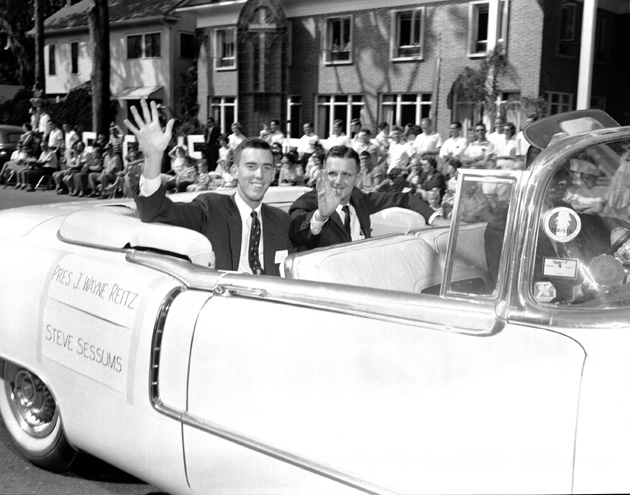 ﻿ University of Florida president, Dr. J. Wayne Reitz and Steve Sessums in the Homecoming parade. University of Florida president, Dr. J. Wayne Reitz and Steve Sessums in the Homecoming parade. Photograph 4718 from the University Archives Photograph Collection.